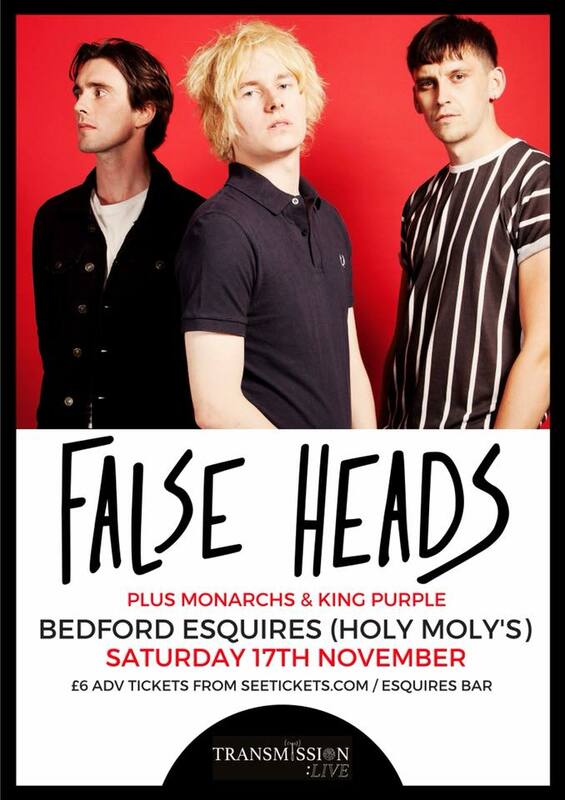 Transmission are delighted to announce they are putting on their first ever live gig, headlined by one of their favourite up and coming acts, FALSE HEADS. False Heads are an east London-based three-piece rock/punk band consisting of Luke Griffiths (Vocals/Guitar), Jake Elliott (Bass) and Barney Nash (Drums/Vocals). Having met at Coopers’ Company and Coborn School in Upminster, the three members reconvened after University to make music together in late 2015. While the trio had collaborated creatively with each other in the past and Griffiths had previously released music under the title, this marked the first time they began to perform together as ‘False Heads’. While playing at the Black Heart in Camden in November 2015, False Heads caught the attention of former Ramones manager Danny Fields. Fields is responsible for signing some of the most iconic acts in rock and roll history, including, Nico, Iggy Pop & The Stooges and The MC5. Fields began mentoring the band, even declaring that they were “the future of Rock and Roll”. After releasing a number of singles in 2016 and playing venues including the Roundhouse in July 2016 for the 30th anniversary of the Ramones’ performance, False Heads released their debut EP Gutter Press in March 2017. The EP received critical acclaim and extensive radio play, both domestically and internationally. Alongside being played on Radio 1 and recording a live session on Radio X, Iggy Pop championed the band on his Radio 6 Music programme. After a hectic summer False Heads are heading out on their own headline tour starting in Galway & Dublin in Eire on 6th Sept, playing 18 dates across the UK and then onto the Netherlands, Germany & France.